Triathlon, road cycling and mountain biking, bike fit, cycling biomechanics, endurance sports(24hr racing), triathlon, running. 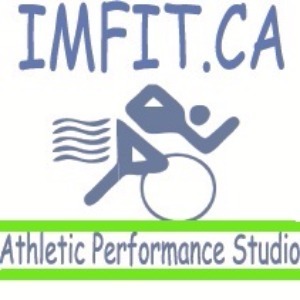 IMFIT provides VO2max/Anaerobic Threshold testing to athletes in the Greater Toronto Area. We use a full metabolic cart breath gas analyser to determine your Aerobic Threshold, Anaerobic Threshold and resulting training zones. Using this data, we then design a program based around your strengths, weaknesses and goals. IMFIT does NOT believe in the cookie cutter, fast food approach to fitness, training and performance improvement. We only work with athletes able to attend our studio facilities for physiological testing prior to commencing a training program. We do not believe that training zones can be accurately reflected through mathematical predictions, or unscientific field tests. We take a long term approach with our clients, and base all training around their own unique metabolic markers, physiological needs, and performance goals. Athletes must be able to visit the studio once every three months (give or take) for follow up testing to verify that training goals are being met. Success. Coach Ian MacLean has been notified of your message.